In the wake of yesterday's news that SimCity will be getting an offline version, EA has come out with a blog post explaining just how they made it happen—and how much effort that took. 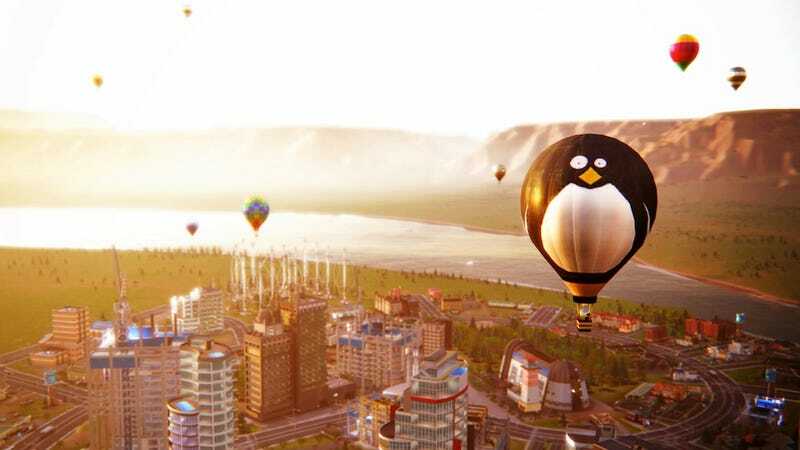 "The original creative vision for SimCity was to make a game where every action had an effect on other cities in your region," writes lead engineer Simon Fox. "As such, we engineered the game to meet this vision, setting up the player's PC (client) to communicate all of its information to the servers. That means that our entire architecture was written to support this, from the way that the simulation works to the way that you communicate across a region of cities. So yes, while someone was able to remove the 'time check' shortly after launch, they were unable to perform key actions like communicating with other cities that they had created locally, or with the rest of their region(s), or even saving the current state of their cities." In other words, it took a lot of work. Something like six and a half months worth of work, Fox says. "My team did, however, see a path forward towards Offline, one that would maintain the integrity of the simulation. Lucy once said that Offline wouldn't be possible 'without a significant amount of engineering work,' and she's right. By the time we're finished we will have spent over 6 ½ months working to write and rewrite core parts of the game to get this to work. Even things that seem trivial, like the way that cities are saved and loaded, had to be completely reworked in order to make this feature function correctly." With connectivity baked into the game's basic features, Fox says, they had to rejigger a lot of code, reworking city functionality so the game would no longer need to ping EA's servers to keep people and cities moving. They say they've been working on an offline version of the controversial sim game since August, and they're hoping to release it in Update 10 soon.